Unsure of progress, shall I reschedule ? I have scheduled the exam for last week of September . Now recently I have started taking CATS and below is the performance. My target score is 700 but I might be satisfied with a 680-90 as well. These trends are not giving me any consolation. I have a full-time demanding job and won't be able give more than30 hours per week to the preparation in next 20 days. Am I off target? Is there a way of making it to the score I desire or shall I just postpone the exam? Please note that I'll be missing deadlines because of that and Oct/Nov are busy seasons for my work. 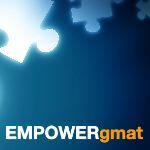 3) Did you take them in the same 'order' as you plan to take the Official GMAT? 6) Did you ever take a CAT more than once? Had you seen any of the questions BEFORE? No, It was the first time I saw all those questions. I'm just not sure why in a month my performance decreased from 690 to 640. I know that I was more nervous this time than I was a month ago, not sure if that can be such a big factor. How do I work on that? GMAC has publicly stated that the Official Score that you earn on Test Day is within +/- 30 points of actual ability. Assuming a similar 'swing' in how your CATs function, a 640 and a 690 aren't actually that different from one another (they both revolve around a 660 (+/- a few points). One of the 'unknowns' here is whether either of those scores is an 'outlier' relative to the set of scores - meaning that maybe your ability level is a bit higher/lower than 660. Test Day is a rather specific 'event' - the details are specific and they matter, so you have to train as best as you can for all of them. The more realistic you can make your CATs, the more likely the score results are to be accurate. The more you deviate, the more "inflated" your practice scores can become - and that may have happened here. By taking the CATs at home - along with anything else that is not realistic (such as taking them on a laptop, etc. ), you weren't properly training for the FULL GMAT 'experience.' By extension, your practice CAT scores might not be accurate. Nerves/anxiety could certainly play a role in your performance too. With less than 3 weeks to go, there's aren't any obvious subject areas that stand out as 'needing more attention', so you'll have to review these last few CATs in a bit more detail (with the goal of trying to define WHY you got questions wrong). How many of those wrong answers were due to not really knowing how to approach the prompt... and how many were due to silly/little mistakes? I encourage you to, if you can afford it, keep the test date you are signed up for, consider it practice, and sign up for another as well.